The online retailer of handcrafted goods priced its IPO at $16 a share, valuing it at about $1.8 bln. The stock almost doubled after trading started, leaving a lot of money on the sewing table. Even Goldman and Morgan Stanley can’t always get the measure of a bespoke bauble. 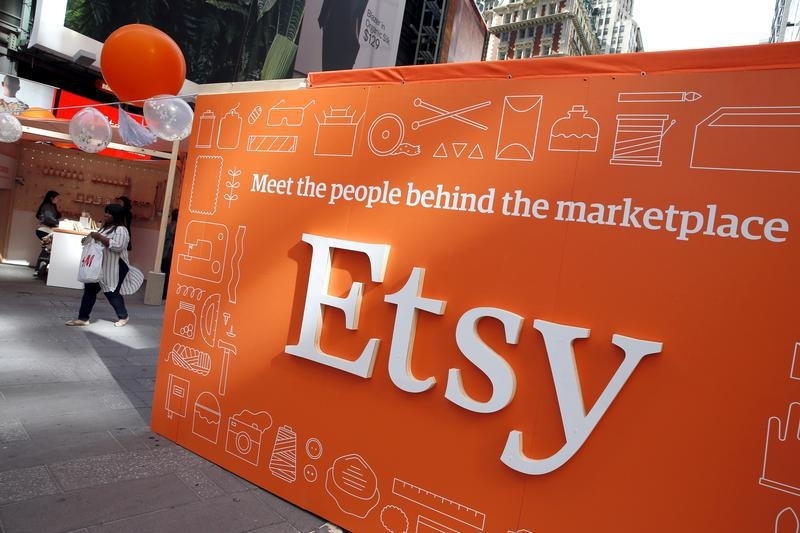 Shares of Etsy, an online marketplace for handmade goods and crafts, more than doubled in their debut on April 16. Priced the day before at $16 apiece, the stock price jumped to $35 before settling nearer $30 in afternoon trade in New York. At $30 a share, the company’s market capitalization is about $3.3 billion. Etsy’s revenue rose 56 percent to $196 million in the year ended Dec. 31, while the company’s net loss widened to $15 million from $796,000. Etsy, led by Chief Executive Chad Dickerson, is designated a “benefit corporation,” an entity whose corporate goals include having a positive impact on society and the environment. The company has identified any loss of this status as a potential risk to its reputation.